Unique opportunity to own a piece of Kelleys Island. 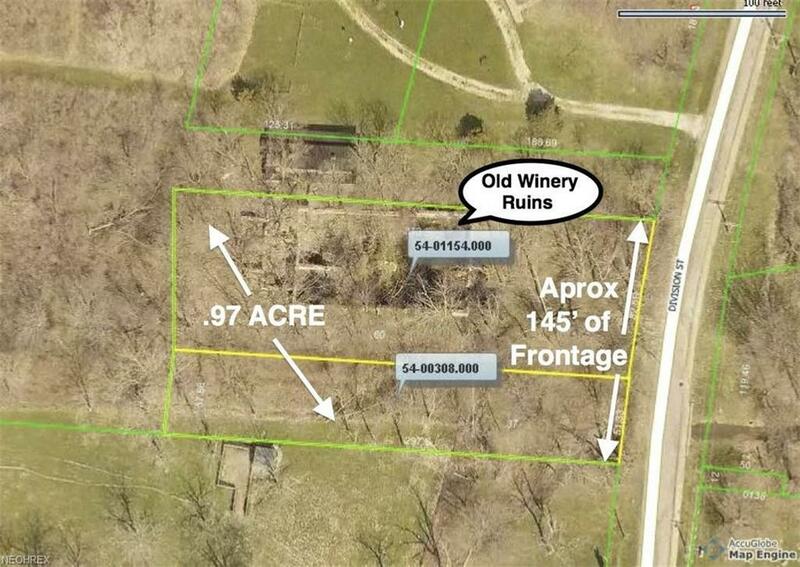 These two parcels total .973 acres of wooded land with quarry limestone winery ruins standing on a portion of the land. The two parcels combined result in approximately 145 feet of frontage on Division Street and approximately 300 feet of depth. Public water line runs down this side of Division Street but the water tap has not been put in yet. Septic and building plans will be subject to Health Department and zoning regulations. Listing courtesy of Bhhs Stadtmiller Realty. Listing provided courtesy of Bhhs Stadtmiller Realty.